At the Salon International de la Haute Horlogerie 2014 Jaeger-LeCoultre presented a new version of the Duomètre a Quantième Lunaire with a 40.5 mm case in white gold and a shiny dial crafted in Grand Feu enamel, a challenging technique which involves firing the gold dial disc meticulously coated with successive layers of enamel at very high temperatures generally ranging from 800 to 900 degrees Celsius. Arranged on the elegant and easily readable dial, the hours, minutes, seconds and moon-phase displays appear to make the Duomètre a Quantième Lunaire Grand Feu enamel (ref. 60435E1) a classic watch model. But the case houses the highly innovative Calibre 381, a movement that, thanks to the exclusive Dual-Wing concept of the Duomètre line, offers exceptional chronometric accuracy even running such an elaborate complication as a calendar. In this movement there are two independent sources of energy, each with 50 hours of power reserve. The first energy source is regulated by the escapement and the balance and is dedicated to the measurement of the passing of time. 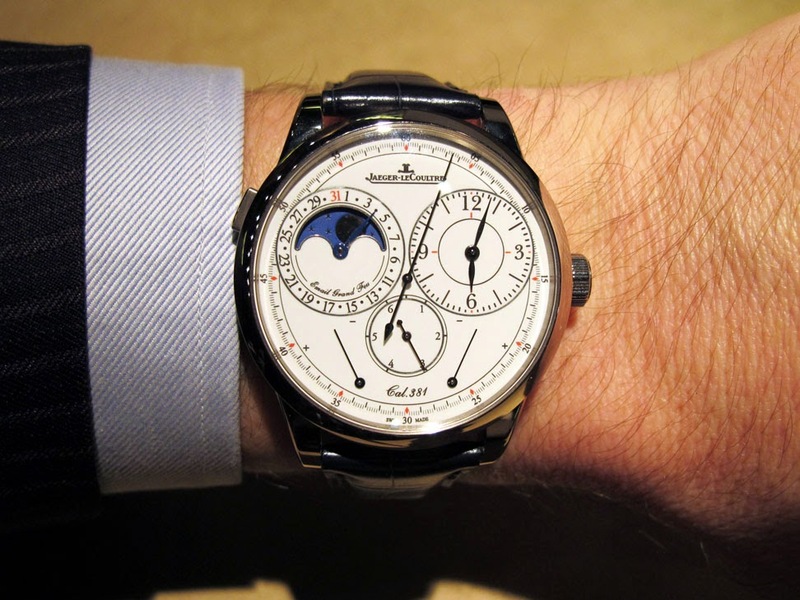 The second source of energy supports the display of the functions: hours, minutes, seconds, calendar and moon phase. Their synchronisation is ensured by the jumping seconds hand mechanism. Each source of energy has 50 hours of power reserve. 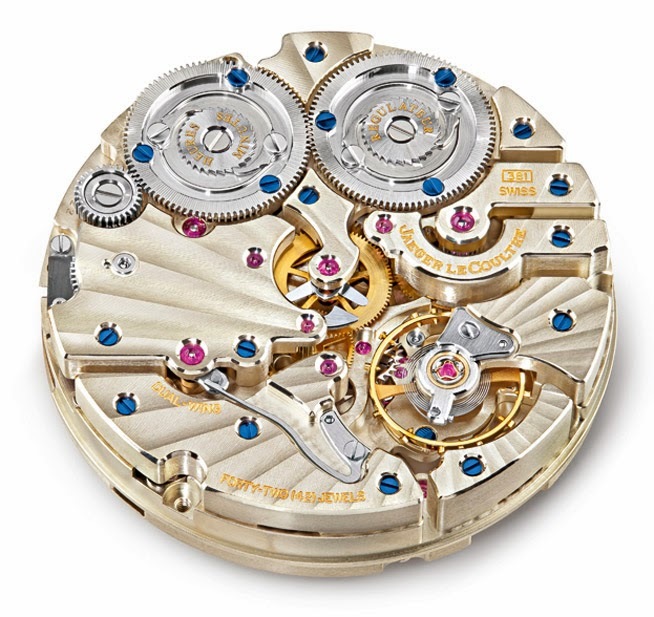 To remark the level of precision of this watch, the jumping seconds hand moves in sixth of a second increments. 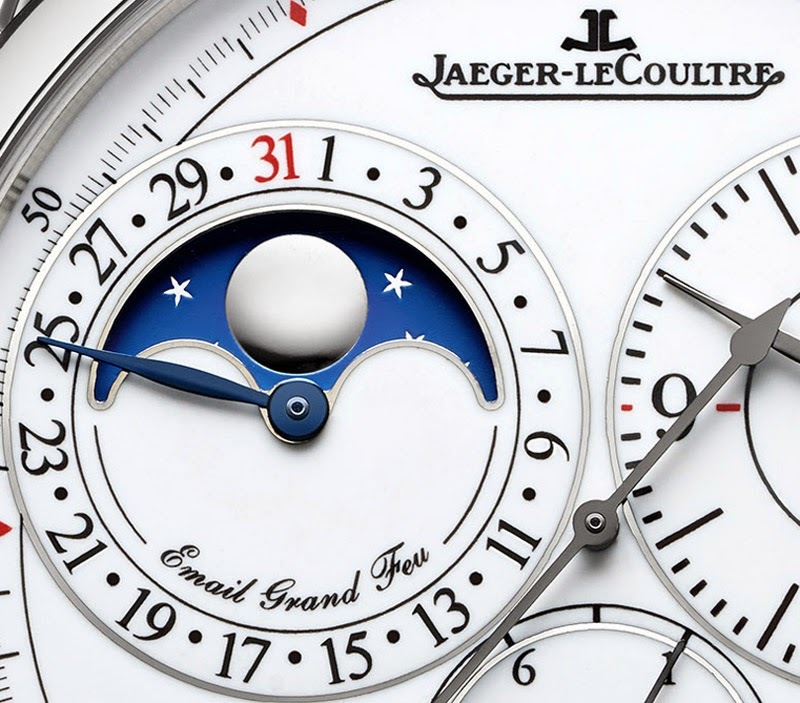 The price, without taxes, of the Jaeger-LeCoultre Duomètre a Quantième Lunaire Grand Feu enamel is 42,000 Euro. 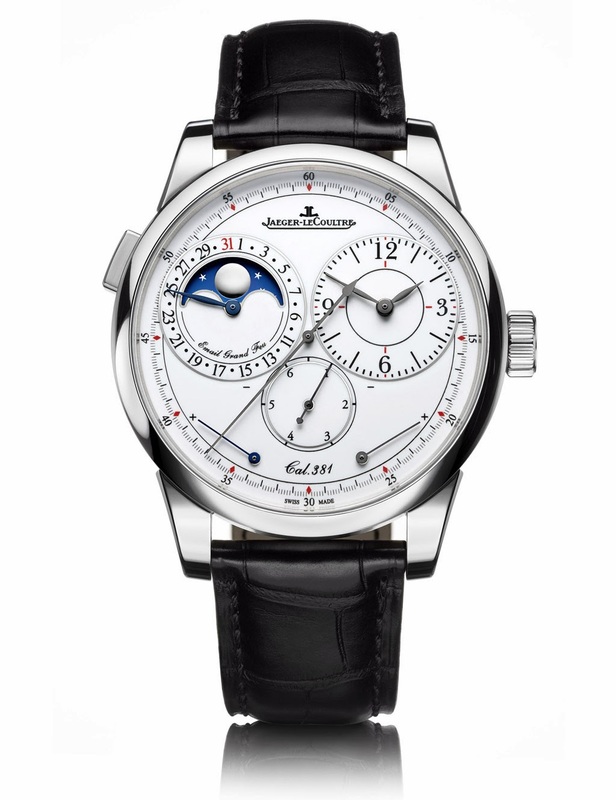 At SIHH 2014 Jaeger-LeCoultre presented a new version of the Duomètre à Quantième Lunaire with a 40.5 mm case in white gold and a shiny dial crafted in Grand Feu enamel. The Duomètre à Quantième Lunaire Grand Feu enamel (ref. 60435E1) houses the highly innovative Calibre 381 with Dual-Wing system.